As One of Green Bay's Top Law Firms, we realize that it can be extremely difficult to talk openly with a stranger about the facts of your case. Your Lawyer completely understands! At the Schenk Law Firm, we pride ourselves with compassion for every client we represent. We want you to feel as comfortable as possible that your Attorney will provide you with hope in a seemingly hopeless situation. We encourage you to contact us today. 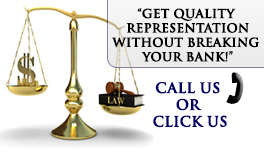 Your initial Attorney Consultation is always free. Whether you're experiencing a Criminal Felony or Misdemeanor Law Case, Traffic, Probation Revocation, Appeals, Family Law Case, Divorce, Child Custody, Tribal Court or Federal Indian Legal Issues our Firm can give you the representation you need. If Criminal Defense is most important to you, don't play any games. The Schenk Law Firm provides affordable Criminal Defense Attorneys for almost every type of case! Family Laws can be extremely complex and you'll need an attorney to care about you. When Its Over Its Over. The Schenk Law Firm's Family Lawyers can help you in matters of Divorce, Child Custody, Child Support, and Marital Properties. The Schenk Law Firm will battle for every ticket to minimize or possibly reduce all demerit points. The Schenk Law Firm Traffic Law Expertise Speeds ahead of the competition in Traffic Know How and Experience. Our Traffic Law Attorneys do everything to keep drivers behind the wheel. For a Free Consultation use our Contact Form or Call (920) 965 - 8210. Get Quality Representation without Breaking Your Bank! For other Practice Areas See Below, you will find that virtually no matter what your Legal need the Schenk Law Firm can fulfill it! Our Lawyers are here to serve you with Free Legal Consultations, Case Evaluations, & Legal Advice.